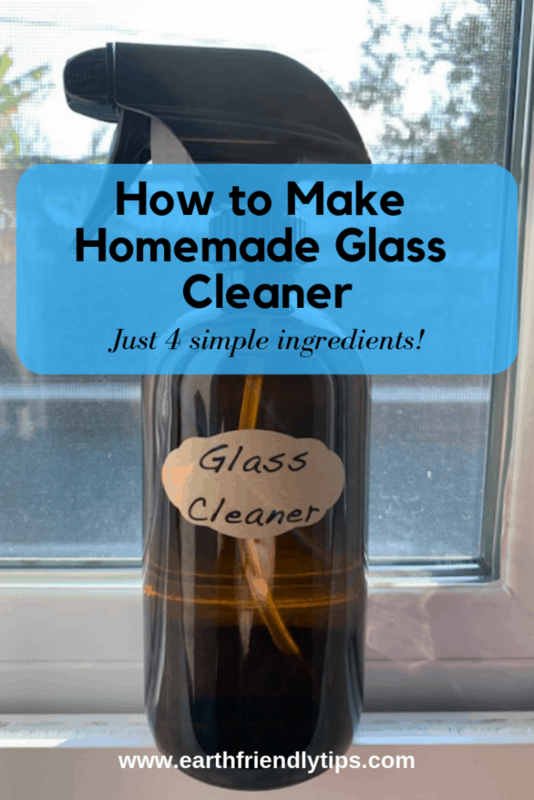 If you’re trying to get toxic chemicals out of your home, the best place to start is your household cleaners, and one easy switch is making your own homemade glass cleaner. Glass cleaners are particularly bad offenders because they contain ammonia, which is an irritating and corrosive chemical. Short-term exposure to ammonia can cause nose and throat irritation, coughing, eye irritation, and headaches. Repeated exposure may cause a chronic cough, chronic irritation of the respiratory tract, asthma, and chronic irritation of the eye membranes. 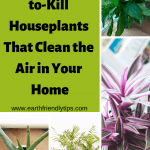 If you’re trying to naturally remove ammonia from the air in your home, these hard-to-kill houseplants do an amazing job of purifying the air you and your family breathe. You can also remove ammonia by making a natural glass cleaner that doesn’t contain the harmful chemical in the first place. 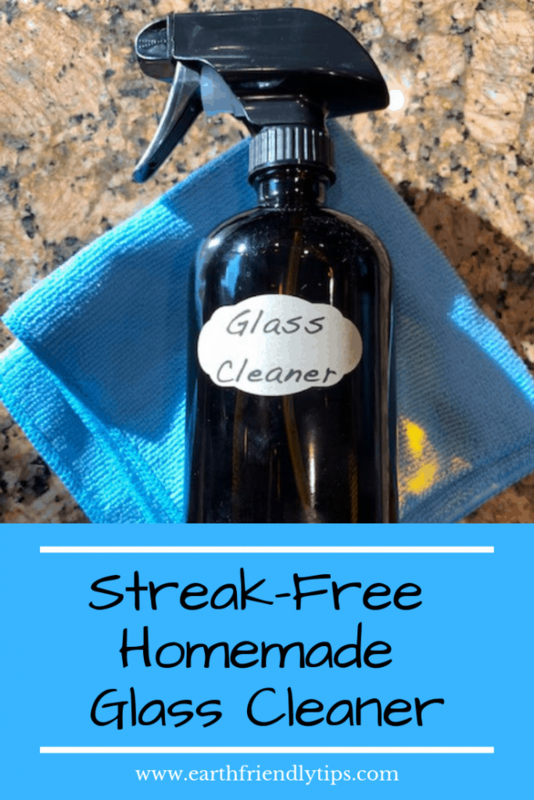 Not only is this homemade glass cleaner safer for everyone in your home, but it’s also cheaper to make, requires just a few simple ingredients, and can give you the same streak-free results you get from store-bought glass cleaners. Combine all the ingredients in a spray bottle and shake well. Shake well before each use to make sure any cornstarch that settled on the bottom doesn’t clog the sprayer. Spray onto glass surface and wipe clean with a microfiber cloth. I know you’re probably wondering, why in the world is she using cornstarch in her homemade mirror cleaner? It’s actually a simple answer with a little interesting science behind it. Although it looks like it, glass isn’t naturally smooth. It has bumps, ridges, and pits all over the surface. When you spray water on glass, it gets caught in these pits and causes streaks. Cornstarch disrupts this process and prevents streaking. This homemade glass cleaner can work on windows, mirrors, glass, and stainless steel. Just keep in mind that vinegar can damage marble, granite, and other natural stones, so take care if you’re spraying this near a stone countertop or vanity. Learn about the other things you shouldn’t clean with vinegar so you don’t accidentally damage items around your house. While vinegar is a highly effective natural cleaner, it also has a distinct scent to it. If the smell of vinegar is a little too overpowering for you, add about 10 drops of your favorite essential oils to mask the scent. 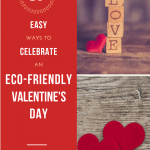 You can cut down on waste by reusing the plastic bottle that your store-bought glass cleaner came in. 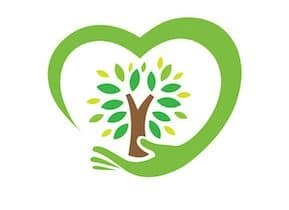 However, if you plan on adding essential oils, you’ll want to use a glass spray bottle because essential oils can degrade plastic.